Stellar Blue is proud to announce the recent launch of a new custom website for Dash Development Group. Based in Germantown, Wis., Dash Development Group specializes in creating document management software for manufacturing and distribution companies. 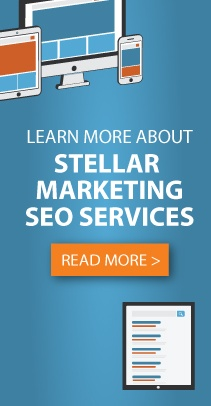 Stellar Blue has worked with Dash Development Group on marketing projects prior to finishing their custom website. When visitors first arrive on the website, they are welcomed by a website that is both loaded with information while also being simple to navigate. Set over an interstellar-themed hero image is short company description along with four interactive information icons. At the top of the homepage is a drop down navigation bar that allows users to find pages with the information they seek to acquire regarding Dash Development Group such as products, partners and other relevant details. Below the hero image is a section detailing the Dash Development Group solutions with the inclusion of a statistics bar on five ways their DDX software saves clients money. After the solutions section, users will see two clickable buttons that direct them to learn more or request a demo. Next on the homepage is a section that includes a link to the website’s page on the manufacturing focus of Dash Development Group. Finally, the homepage ends with an area for current industry news related to the company as well as a contact button for the convenience of the user. The custom website comes with a WordPress integration that allows for fast and easy content updates for website administrators. Also included in the custom build is an interactive about us section that allows Dash Development Group to highlight the personality of their brand and product. There is also a contact form as well as a webinar sign up form that increases the user experience. Finally, a blog has been implemented so users can stay up-to-date on industry news and events.